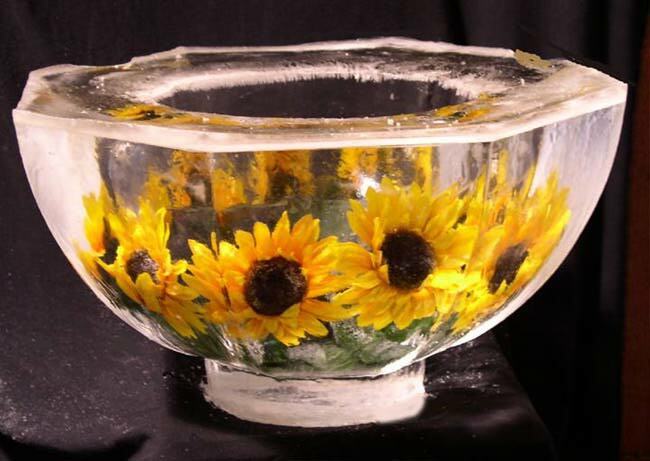 Making an ice bowl is really simple - no great skill required, however, you can make your bowl as plain or ornate as you like - your imagination is the limit. These bowls are not only really great ways to add some class to your festive table, but they are also practical in that they keep food cold for longer - especially great for those dishes that can't be eaten after the temperature has dropped - such as prawns (shrimp for my USA friends). To commence, you gather two bowls that will fit one inside another, leaving 3/4 to 1 inch of space between the two bowls. Stainless steel bowls are terrific for this project, though you can use glass, plastic - anything really. 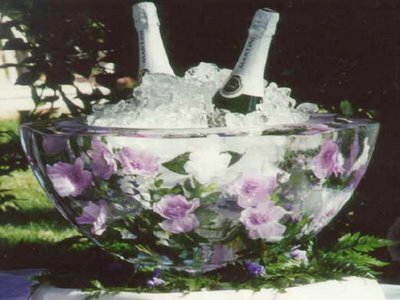 You need the rims to be the same height so that your "ice" can form a base underneath the inside bowl. From here, it's just a simple matter of sliding your decorations into the space between the bowls. You can use silk flowers, real flowers, herbs, plastic toys, leaves, slices of fruit - see the below pictures for inspiration!!! Once you have placed your decorations, and are happy with the way they look, slowly pour water into the space between the bowls, being careful to ensure all decorations are encased in water - that is, submerged. Place the whole thing in the freezer until the water is frozen. 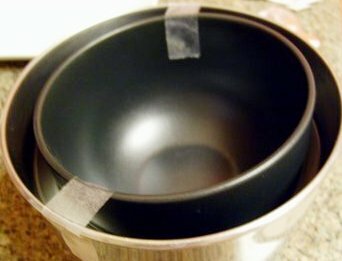 Carefully remove the inner bowl and masking tape, and turning the bowl upside down, carefully allow your ice bowl to drop from the exterior bowl (mould). 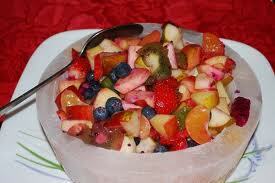 Immediately wrap your bowl in gladwrap, and place it back into the freezer to firm up until required.